On August 8, 2016, Japanese Emperor Akihito expressed his wish to step down in the near future in a rare 10-minute pre-recorded video address to the Japanese people. In the address, broadcasted in Japan around 3 pm in the afternoon, he talked about his concern that his advanced age—he is 82 years old—and his deteriorating health will impact his ability to carry out his duty as the symbol of Japan. He also talked about the extraordinary burden that Japan will have to bear when the country mourns one emperor’s passing while celebrating another’s ascension to the throne. Despite steering clear of explicitly expressing a desire to hand the reins to the crown prince—he did not use the word “abdicate”—Emperor Akihito’s message in his video address was quite clear: he wishes to step down before his health deteriorates further due to his old age, preventing him from serving as the symbol of Japan in the way he envisions. Prior to his address, there were already signs that Emperor Akihito has been thinking about this. Most recently, Japanese media reported in mid-July that Emperor Akihito himself had spoken to the officials at the Imperial Household Agency about his wish. While this report was promptly rejected by Japanese government sources, the speculation lingered in the days leading up to his video address on August 8. In a way, his attempt to break away from past precedents—since the Meiji Restoration, the change of reign has happened only at the emperor’s passing—is consistent with what he has tried to accomplish throughout his 27-year reign. First and foremost, Emperor Akihito has done his utmost to be “the people’s emperor.” The 1995 Hanshin-Awaji Earthquake, the 2011 triple disaster of earthquake, tsunami, and nuclear meltdown, and most recently a major earthquake in Kumamoto in May 2016—whenever Japan has been hit by major natural disasters, Emperor Akihito and Empress Michiko were there, trying to comfort people who were affected by the tragedies. He also has gone out of his way in his attempt to share the suffering of those who are affected by these calamities. For instance, when multiple neighborhoods in Tokyo underwent rolling blackouts after the 2011 earthquake, he ordered the power in his palace be shut down during the blackout hours, so that he and his family would share the hardship with the people—a clear demonstration of his compassion. 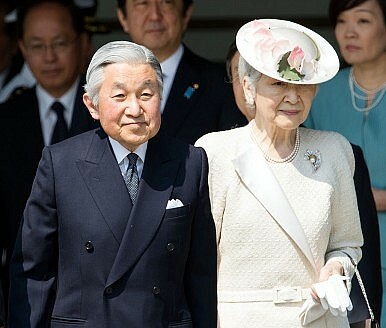 In addition, from his time as the crown prince, Emperor Akihito has humanized the Imperial family through his deeds. When he was in high school, he planned a getaway excursion to Ginza, the fashionable shopping and dining district in central Tokyo. While his predecessors, including his own father Emperor Showa (also known as Hirohito), chose their empresses from relatively a small circle of privileged families, Emperor Akihito married Empress Michiko, a “commoner”, whom he met at a tennis tournament. With Empress Michiko’s support, he defied the tradition and raised their three children while living under the same roof. With Emperor Akihito, the Imperial family, respected and yet considered very distant under his father’s reign, has become beloved. Today’s Imperial family, while still commanding considerable respect as the symbol of the country, are also people whom the Japanese public can relate to. Finally, Emperor Akihito has tried to demonstrate his and his family’s commitment to the peace-loving spirit that the postwar Japanese constitution represents. He has also showed through his own example that Japan should never forget its wartime past. He has made sure that his own children will not forget the people’s suffering in wartime Japan by designating four “days of mourning” (otsusushimi no hi )—June 23 (the day that the Battle of Okinawa ended), August 6 (the day that atomic bomb was dropped on Hiroshima), August 9 (the day of atomic bomb dropping on Nagasaki), and August 15 (the day of unconditional surrender)—in his household. The Imperial couple visited foreign cities where the Imperial Japanese Army engaged in fierce battles; at each site, they always spent time paying respect to the memorials of the victims. After watching his father, Emperor Showa, navigate through a difficult period where his own status transformed from “a divine and inviolable” ruler of Japan to a symbolic unifying figure for the country, Emperor Akihito made his mark by trying to serve as the best possible steward of what the Japanese constitution represents—an aspiration for peace. The vast majority of the Japanese appear to think that the country should honor Emperor Akihito’s wish to step down. In public opinion polls conducted by several Japanese media outlets in the past week, an overwhelming majority support Emperor Akihito’s wish to step down if he so chooses. However, the road to Emperor Akihito’s abdication is a long and complicated process. The Imperial Household Law (koushitsu tenpan), the law that dictates every aspect of the life of the Imperial family, stands upon the premise that the change of reign occurs only when the incumbent Emperor passes away. As such, there is no legal framework that defines the status of “former Emperor.” Therefore, should the country move to allow Emperor Akihito to step down, it will require the revision of not only the Imperial House Law but possibly the Constitution as well. In the months ahead, intense debate, similar to the one seen when Pope Benedict XVI announced his intention of retirement in 2013, are likely to take place in Japan. Decisions will need to be made on everything from what the former Emperor should be called to under what conditions he should be allowed to step down. In particular, protecting the former Emperor from being abused for political purposes will be critical as the Imperial family–the traditional symbol of the country–must remain apolitical. Regardless of the outcome of the debate, one thing is clear. How to navigate this sensitive debate may well become the most consequential agenda for Prime Minister Shinzo Abe.